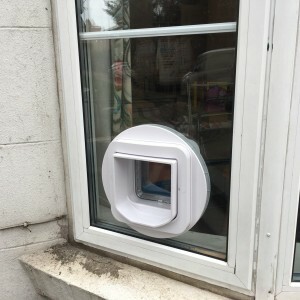 Standard four way Cat-flap fitted into double-glazed unit with Georgian bars. 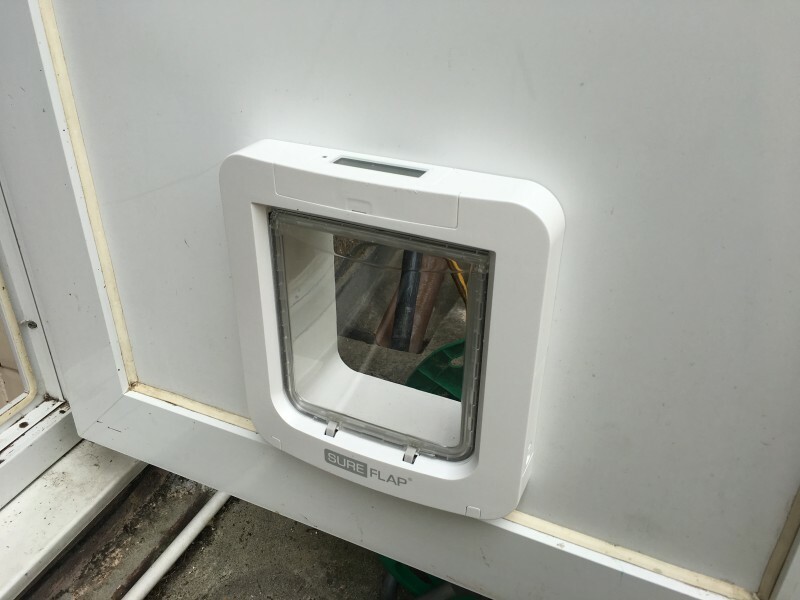 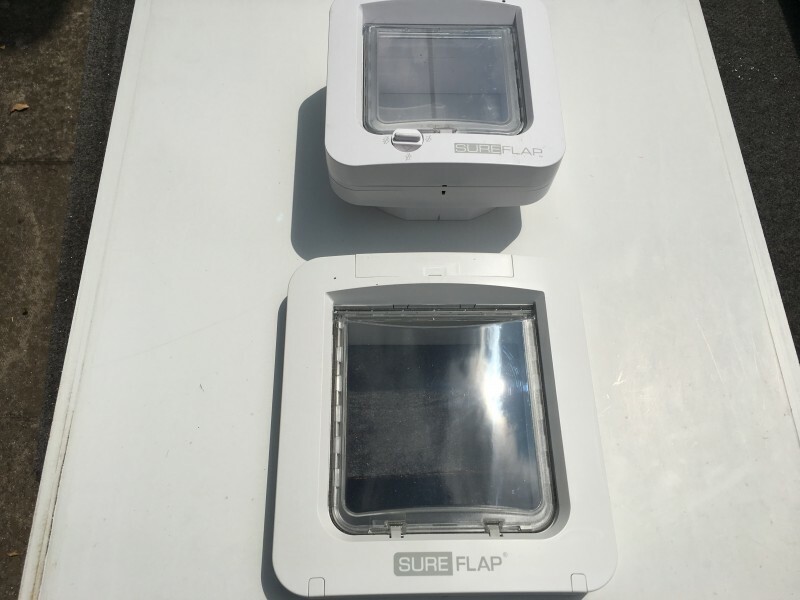 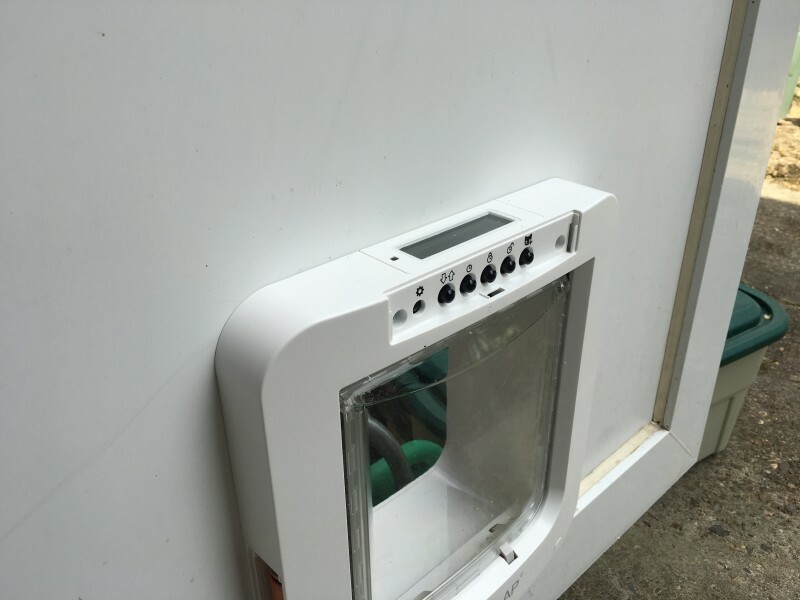 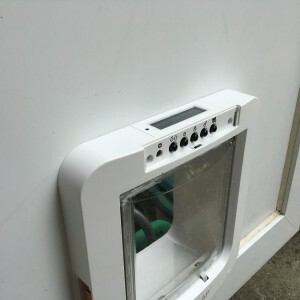 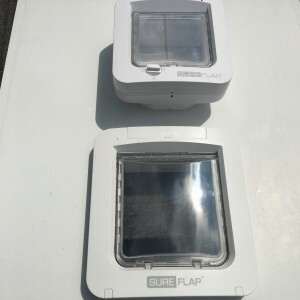 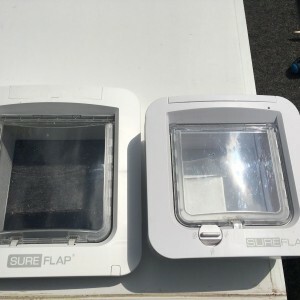 Above are a few pictures showing microchip cat-flaps and small dog-flaps fitted in double-glazed units, white plastic infill panels and even clear perspex panels. 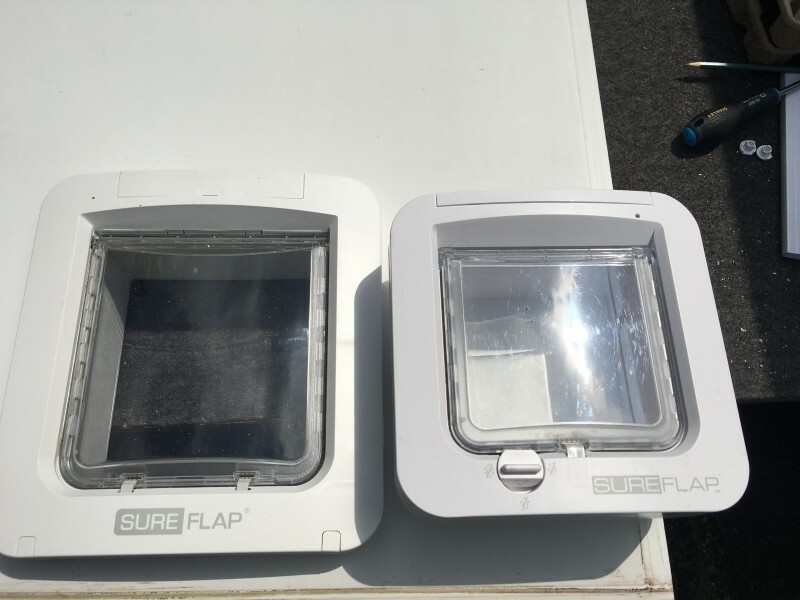 There are various types of cat-flaps available and they can be installed into double-glazed units, single glass or even perspex panels. 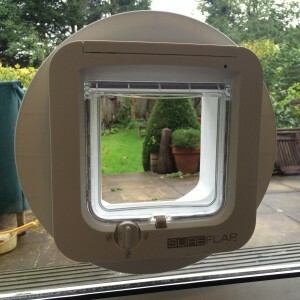 Leaded or Georgian bar double-glazed units can also be manufactured to allow a cat-flap or dog-flap to be fitted. 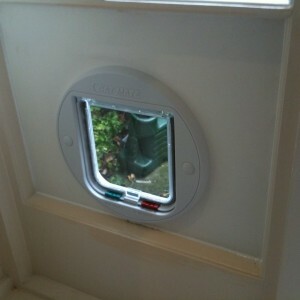 Hole made in the glass unit, to fit the new microchip cat-flap. 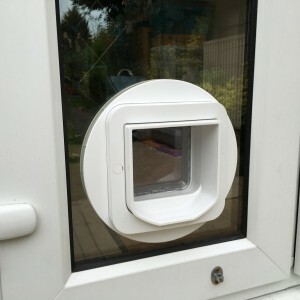 New microchip cat-flap fitted in the glass unit. 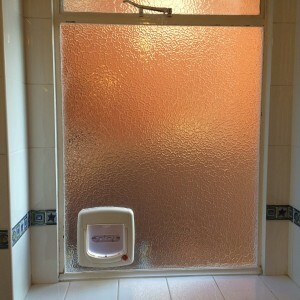 Standard four-way cat flap fitted in single obscure toughened glass. 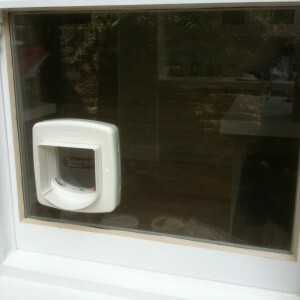 1st Call Glazing also stock standard cat-flaps when required, instead of the microchip cat-flap. 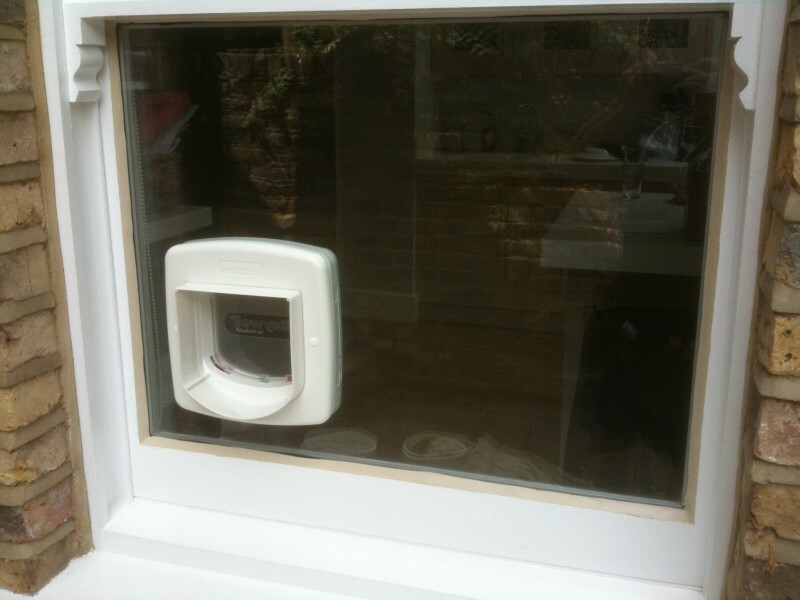 We can supply and fit the standard four-way cat-flap, to fit through double glazed units or single panes of glass. 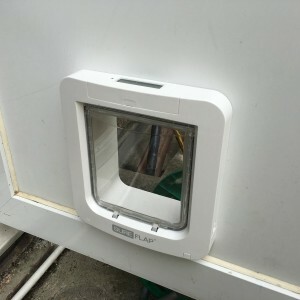 The basic four-way cat-flap matches the hole dimensions of the microchip cat-flap. Therefore, the four-way flap could be upgraded to a microchip cat flap, at a later date if required. 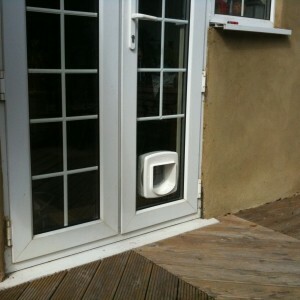 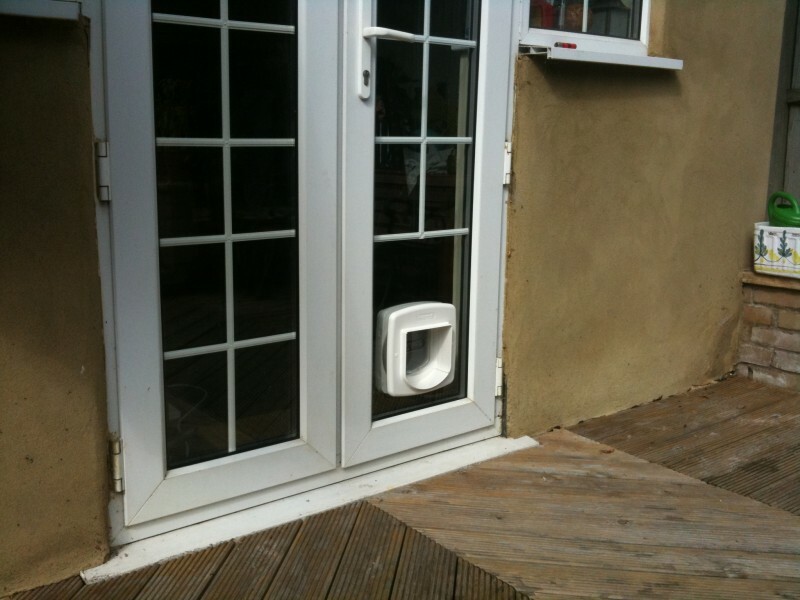 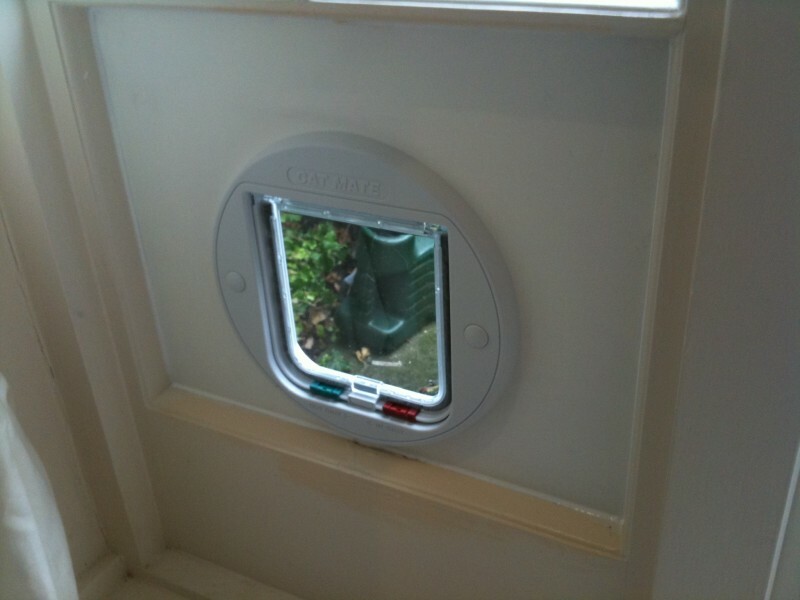 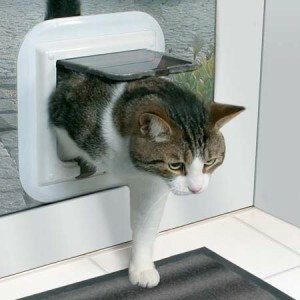 We also supply and fit a slim-line cat flap when needed. 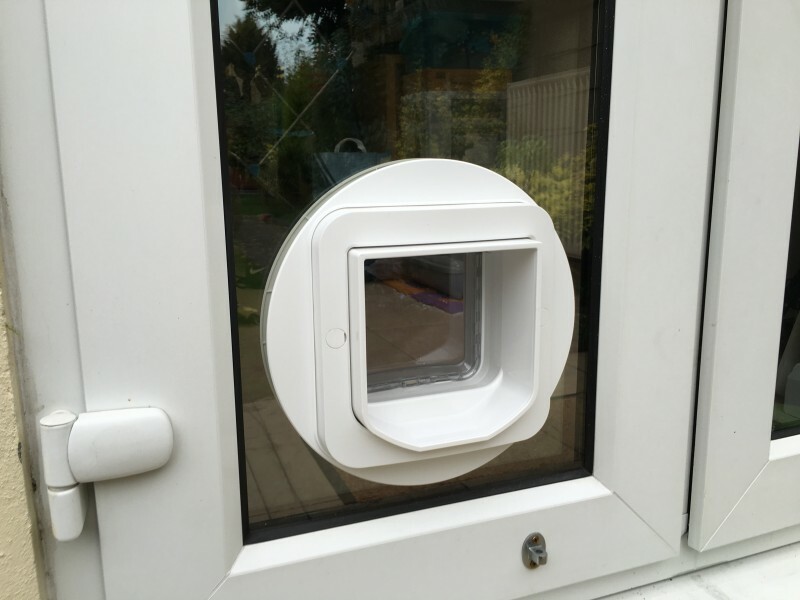 The slim-line cat flap requires a slightly bigger hole size than the standard four-way cat flap. 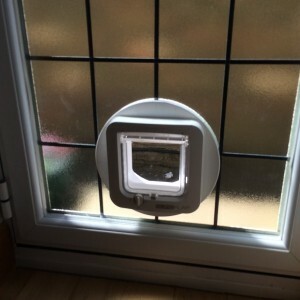 Both types of cat-flap are pictures above. 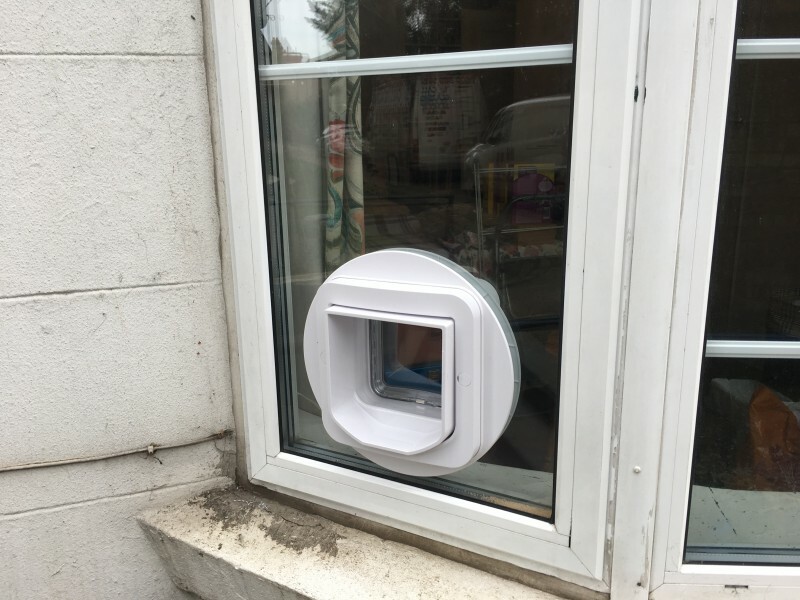 *When a cat-flap is required in a single pane of glass, we always recommend a new toughened pane to be made with a hole cut. 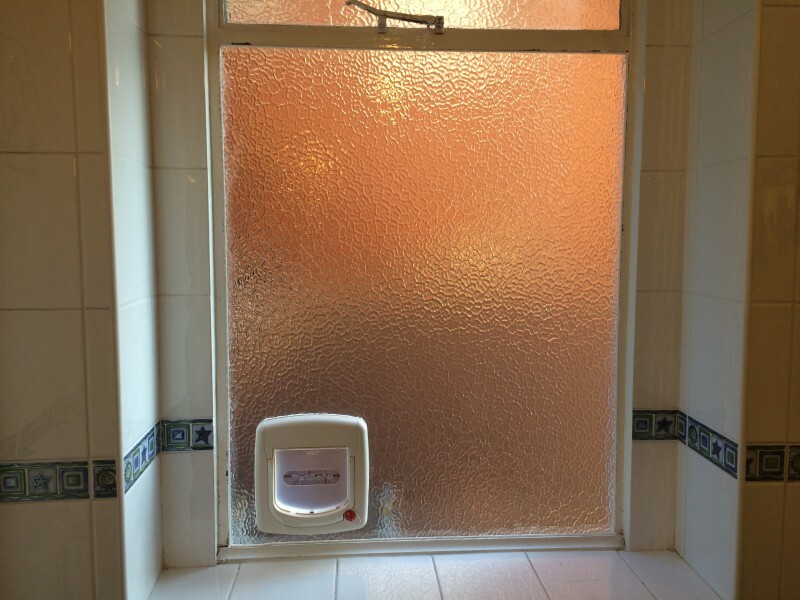 The toughened glass would look the same as the existing standard pane, however the toughened pane would be 5 times stronger than the standard single glass. 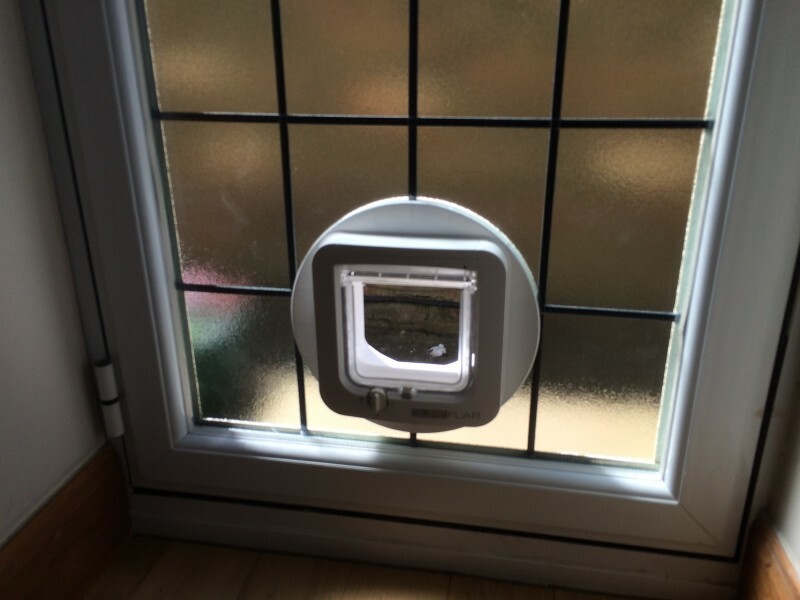 *When a cat-flap is required in a double-glazed unit, a new toughened glass unit is always supplied with a hole cut. 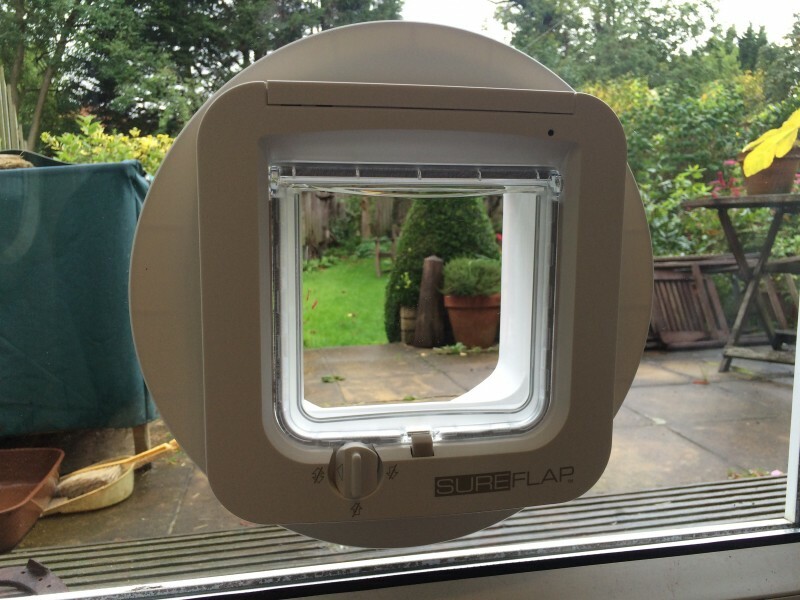 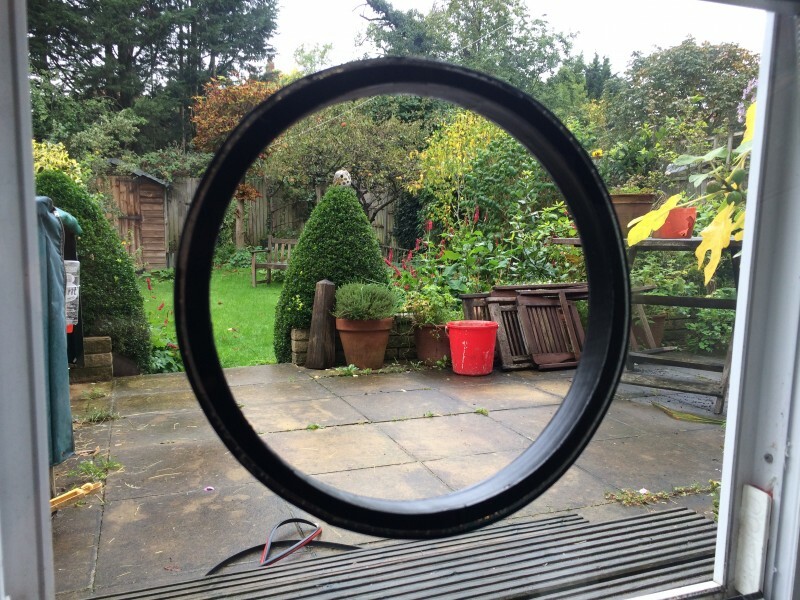 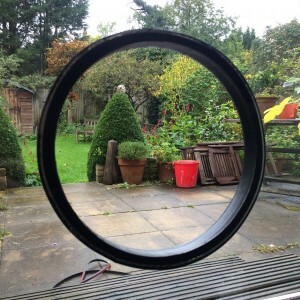 Holes can’t be cut in existing double-glazed units.